Hamza's younger brother Zaed, 13, suffered gunshot wounds to the leg in the attack. The boy tried to stand during the ceremony but had to sit back in his wheelchair, one mourner said. It's them we need to honour. The body of a victim of the mosque attacks is carried during the burial ceremony at the Memorial Park Cemetery in Christchurch, New Zealand March 20, 2019. At the same press conference, Ms Ardern said there would be two minutes of silence, with the call to prayer broadcast on RNZ and TVNZ. She said 30 of the victim's bodies have been identified and approved for release. Islamic funerals typically are held as soon as possible after death. Near the mosque, members of rival gangs did a Maori haka, a powerful indigenious ceremonial performance, and a crowd of people sung New Zealand's national anthem as the sun set. The fourth victim's name was suppressed by court order. She said: "I implore you, speak the names of those who were lost rather than the name of the man who took them". "We strongly believe we stopped him on the way to a further attack, so lives were saved", Bush said, according to The Washington Post. The 50 worshippers were attending two mosques in the southern New Zealand city last Friday when a white supremacist gunmen opened fire. "That's something we can all do". Australian Brenton Tarrant, 28, has been charged with murder in connection with the March 15 shooting. Under New Zealand law, a trial is "to determine innocence or guilt", Peters said. "While it will be in Christchurch we want to involve the rest of New Zealand". Dressed scruffily in grey tracksuit pants, a dirty blue T-shirt and striped socks but no shoes, Arps listened intently while District Judge Stephen O'Driscoll told him he was not required to enter a plea. The judge made an additional suppression order regarding the police summary of facts in the case, limiting reporting of the accusations to the charges themselves. 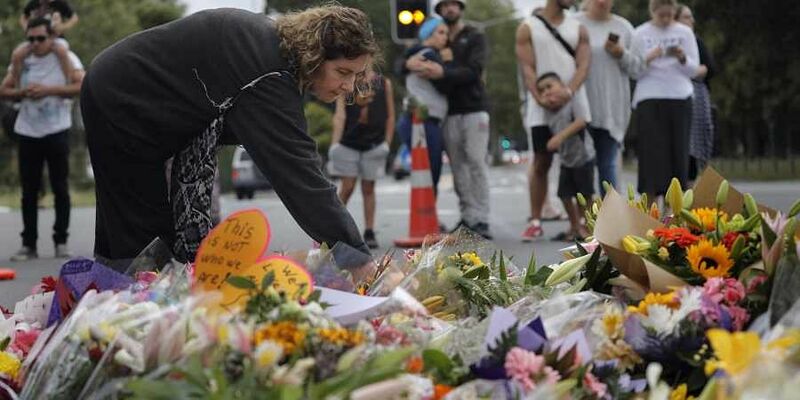 New Zealand Police Commissioner Mike Bush said police have now formally identified and released the remains of 21 of those killed. Since then, builders, painters, glaziers and carpet layers have been seen working furiously to make sure the mosque is ready for worship this week. In a rambling "manifesto", the gunman had said he was motivated partly by a desire to stoke a violent response from Muslims and a religious war between Islam and the West.